Apple is a hardware company, a media company, and now it’s a serious services company, too. Company CEO Tim Cook said the company’s services business is on track to reach the size of a Fortune 100 company in 2017, and the goal is to double the division’s growth over the next four years. Mr. Cook talked about Apple’s services business performance during the company’s 2017 first fiscal quarter earnings conference call Tuesday afternoon. 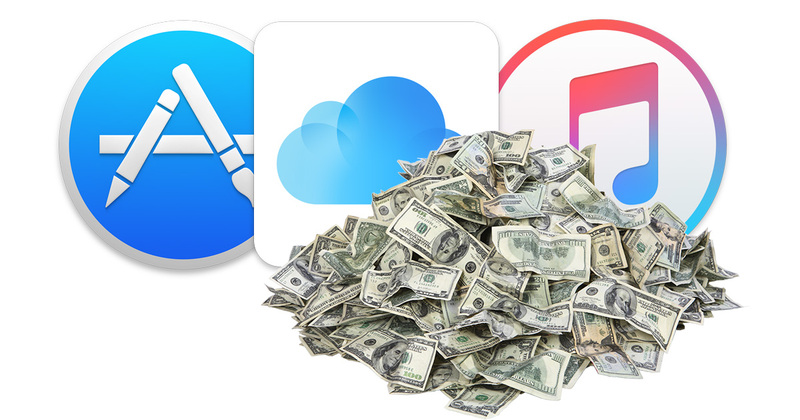 Apple’s services include Apple Music, iTunes, iCloud, Apple Pay, and the App Store. Services are becoming a larger part of our business, and we expect the revenues to be the size of a Fortune 100 company this year. Our services offerings are now driving over 150 million paid customer subscriptions. This includes our own services and third-party content we offer on our stores. To put that in perspective, a Fortune 100 company is among the 100 largest companies—both public and private—in the United States as compiled by Fortune Magazine. That’s a pretty impressive milestone considering we’re talking about a part of Apple’s overall business, and not the entire company. Still, Apple doesn’t seem content with its current services success. “We feel great about this momentum, and our goal is to double the size of our services business in the next four years,” Mr. Cook said. Currently, Apple has 150 million paid customer subscriptions, and services revenue is up 18.4% thanks to App Store growth. Services revenue is up to US$7.2 billion. Apple Pay transaction volume is up more than 500% year-over-year, too, and use tripled in 2016. Apple reported $78.4 billion in revenue for its first fiscal quarter, setting a new company record. The company sold 78.2 million iPhones during the quater, along with 13 iPads and Mac sales were up 1%. Looking forward, Apple is guiding for second quarter revenue between $51.5 billion and $53.5 billion. Considering the company’s services performance so far, it’s a safe bet it’ll continue to play a big role in Apple’s bottom line. Wow! Apple was able to sell 13 (thirteen) iPads in the entire quarter. Amazing. Impressive, particularly for a company whose services are often compared unfavourably with those of their competition (iTunes, iCloud). While 150M cannot be generalised across all services, that’s still a substantial user base in total. Perhaps the bean counters in Cupertino will see fit to set aside some of that service revenue to invest in R&D for HomeKit.